Nani Meatballs came from the idea of my family wanting a way to preserve and share our family recipes. 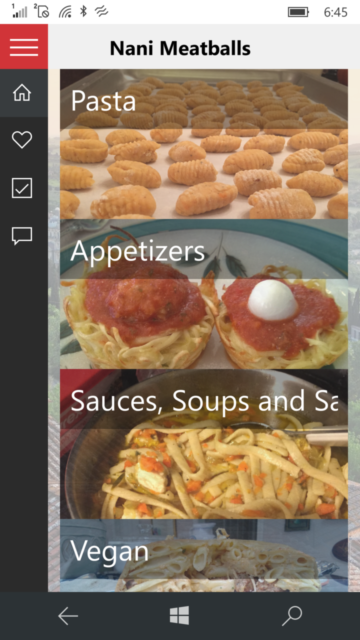 The app (still in development) lets users create, edit, group, and share recipes. I developed the app in C#/XAML to run on Windows 10. It saves data in the cloud and uses Google, Twitter, and Facebook authentication to log in and handle user management.